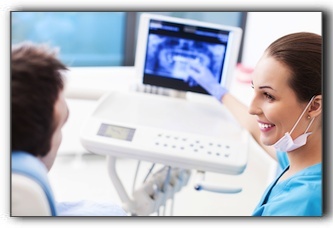 Crabtree Dental in Katy not only provides general dentistry for our valued patients. We also like to deflate certain myths about dental health, such as the three that follow. Saving your natural teeth, if possible, is the very best option. Nothing can completely replace your natural tooth. An artificial tooth can sometimes cause you to avoid certain foods. Keeping your own teeth is important so that you can continue to enjoy the wide variety of foods necessary to maintain the proper nutrient balance in your diet. Endodontic treatment, along with appropriate restoration, is a cost-effective way to treat teeth with damaged pulp and is usually less expensive than extraction and placement of a bridge or an implant. Endodontic treatment also has a very high success rate. Many root canal-treated teeth last a lifetime. At Crabtree Dental in Katy, we provide accurate answers to all of your dental questions. We offer general and cosmetic dentistry. Schedule an appointment with us today.